Over the next decade, the private dental industry is expected to boom and private dental practices should be prepared to handle the demand. The dental practices industry registered positive growth each year from 2002 to 2010 and in 2010 U.S. dental practices recorded a collective $107.6 billion in revenue, up 1.8 percent from the prior year. By 2016, industry revenue is expected to reach $130 billion, with a compound annual growth rate (CAGR) of 3.2% from 2010 to 2016. But that’s not all. The private dental practice industry is expected to experience an even bigger windfall for a variety of reasons. One, between 2010 and 2020, the number of Americans aged 65 and older is expected to rise 35%. As individuals age, their need for dental maintenance increases and many will begin seeking dental care in droves. Two, the Patient Protection and Affordable Care Act will give more individuals access to health insurance. So what does this have to do with your private dental practice? With industry revenues expected to soar in the coming decade, your practice should be positioning itself to take advantage of the opportunities expected to come your way. If you want financing for your dental practice, we can help you. We don’t have the strict credit requirements you’ll find at a bank and we can approve your practice for financing in minutes. Also, you can have the money in your account in days. 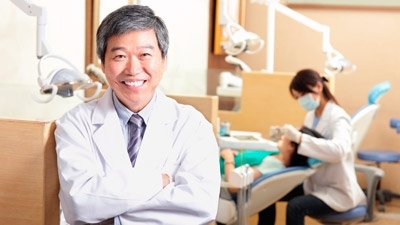 We offer a merchant cash advance program that can be used to finance a variety of things relating to your practice, including dental supplies and equipment, building taxes and more. Additionally, we have high approval rates, quick applications, and there is no personal collateral required. Private dental practices are going to soar in the next several years and beyond, so make sure you’re putting your business in the right position moving forward. For more information on our programs, call today at 1-800-267-3790.